Hampton Inn Kansas City - Downtown Financial District is located in Kansas City, 800 metres from Kansas City Convention Center and 800 metres from Sprint Center. Every room at this hotel is air conditioned and is equipped with a TV. There is a 24-hour front desk at the property. National World War I Museum at Liberty Memorial is 2.8 km from Hampton Inn Kansas City , while Worlds of Fun is 12 km from the property. 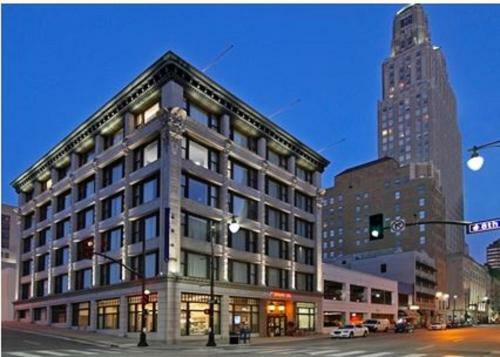 The nearest airport is Kansas City International Airport, 25 km from Hampton Inn Kansas City - Downtown Financial District. the hotel Hampton Inn Kansas City - Downtown Financial District so we can give you detailed rates for the rooms in the desired period.